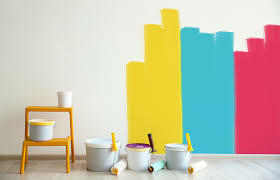 A home renovation or new home extension, of course, requires a great deal of thought and consideration when it comes to the décor finish and the paint choices are, of course, key decisions in that décor ‘mix’. Homes and Property reported a little guidance on paint finishes in vogue in these times. Apparently, when it comes to interiors paint colours, there’s been a noticeable shift in the past few years away from light neutrals towards statement colours. And, it’s no longer necessarily the done thing to pick out skirting boards, dado rails and doors in a different colour…now you know! 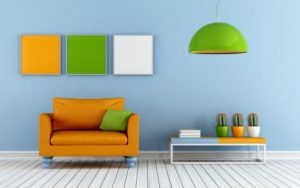 For sure there’s hundreds upon hundreds of paint shades to choose from, and the key question is – where do you start on your quest for cool home colour? And also where to look for styling inspiration? Tracking hash-tags on Instagram is a great way, reports H&P, to discover colours that are currently popular as well as to see how other people are using them in their own homes. Paint expert Annie Sloan says bolder, strong colours are her most liked shades. “Deep greens, deep blues and pinks seem to be the most popular colours that I’ve been noticing. My Amsterdam Green, Aubusson Blue, Napoleonic Blue and Antoinette are being used on strong and bold pieces to create a statement. People are really into adding a bold, colourful statement piece into a neutral room, with colourful soft furnishings – it’s a brilliant way for to express taste and personality, instead of just painting walls,” she adds .